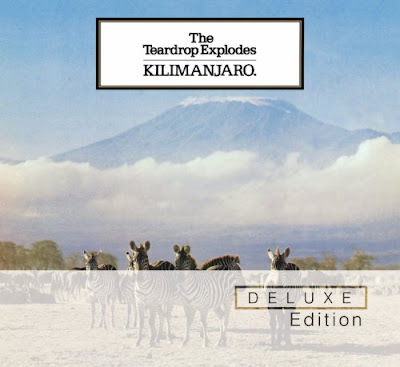 Originally released in 1980, 'Kilimanjaro' was the debut album by The Teardrop Explodes. This new 3-disc deluxe set includes the original album plus a second disc rounding up the relevant non album singles and b-sides. These include the group's two initial Zoo singles, fronted by "Sleeping Gas" and "Bouncing Babies" and the post-album "Reward" which gave the group its sole Top 10 hit. Disc Three features the Teardrops' Peel sessions. The set comes with a series of newly written notes from core members Julian Cope, David Balfe and Gary Dwyer. You've got a great blog, but how do you hear these records? No, I don't hear all the records, especially not all the new ones that come out. That is the reason why I don't write reviews only news. Sorry, my mistake. I meant to say is there a link for us to download them? I would really like to check out the extras on this album. I never put download links to the music which is currently in print. You might try the amazon page, they sometimes have song previews and even youtube. Can't wait for this come out. The Teardrop Explodes were *such* a good band. Julian Cope may be slightly daft these days but he wrote some classic songs in his earlier days.